California’s 2016 almond production is forecast at +2.05 billion pounds, up 2.5% from May’s subjective crop forecast and up 7.9% from last year’s crop. The forecast is based on 900,000 bearing acres. Production for the nonpareil variety is forecast at 780 million meat pounds, up 7.4% from last year’s deliveries. 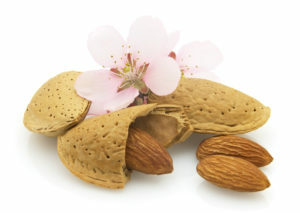 The Nonpareil variety represents 38% of California’s total almond production. The 2016 California almonds crop began bloom in mid-February, after the winter provided better chill hours than last year. Bloom conditions were good; bloom was reportedly fast and uniform. Precipitation this year was significantly better than in 2015. Many areas are still in drought, although trees showed signs of recovery from the last few years of insufficient water. The average nut set per tree is 6,159, up 4.9% from 2015. The Nonpareil average nut set of 5,583 is up 6.6% from last year’s set of 5,239. The average kernel weight for all varieties sampled was 1.48 grams, up 3.5% from the 2015 average weight of 1.43 grams. The nonpareil average kernel weight was 1.65, up 2.5% from last year. A total of 98.8% of all nut sized were sound. The average yield per acre is estimated at 2,280 pounds per acre, which would be the 5th highest yield per acre. The estimate of 2.05 billion pounds would be the 2nd largest production California has ever had. Almond kernel weights are heavier by 3.5% than last year ,which move mean sizes are slightly larger than last year.